It’s one of those experiences that will stun any traveler. Nature travel junkie or not, we definitely think you should add it to your bucket list- and if we can’t sell you, we know the photos will. But when it’s time to book and pack and make the plans, the logistics of Iguazu seem to confuse most travelers more than such a popular (and UNESCO World Heritage) site should. So, we’re here to clearly lay out everything you need to know to get yourself standing in front of this mind-blowing view. From Buenos Aires, you can fly to Puerto Iguazu, which will take less than 2 hours (if direct; if not, up to 7 hours). But, these flights are really expensive (usually over $600 within a couple months of visiting), and unless you book really far ahead, they can make visiting the falls not worth it. You can also take a bus from Buenos Aires, which will take about 2 days (and costs about $70-125 USD one way). If you’re traveling around quite a bit, then you can just bus from wherever you already are, and make your way to the falls over a series of shorter buses which is ideal, but rare since Iguazu Falls aren’t on the way to any of Argentina’s other popular attractions. 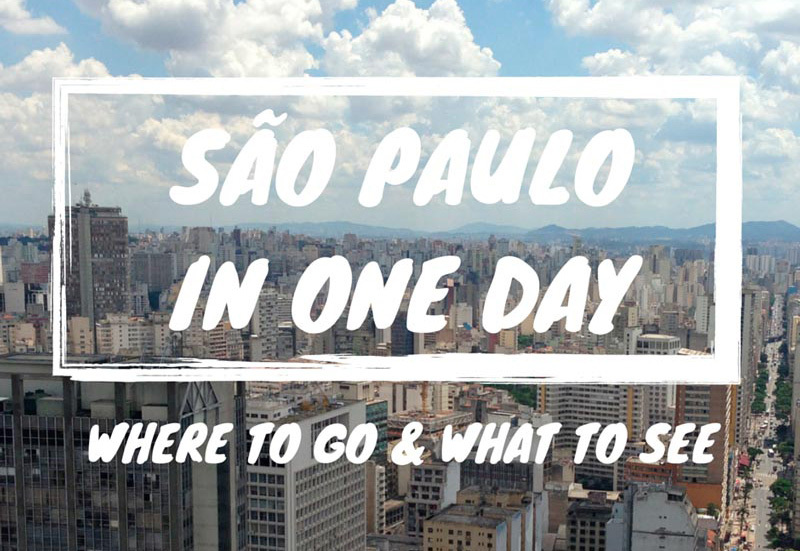 You can fly from anywhere in Brazil to Foz do Iguacu, but flights from Sao Paulo are often, less than 2 hours, and you can book only a couple weeks in advance and keep it under $450 USD (this last minute from Buenos Aires would cost closer to $1,000 USD). It’s still not cheap, but it’s better. 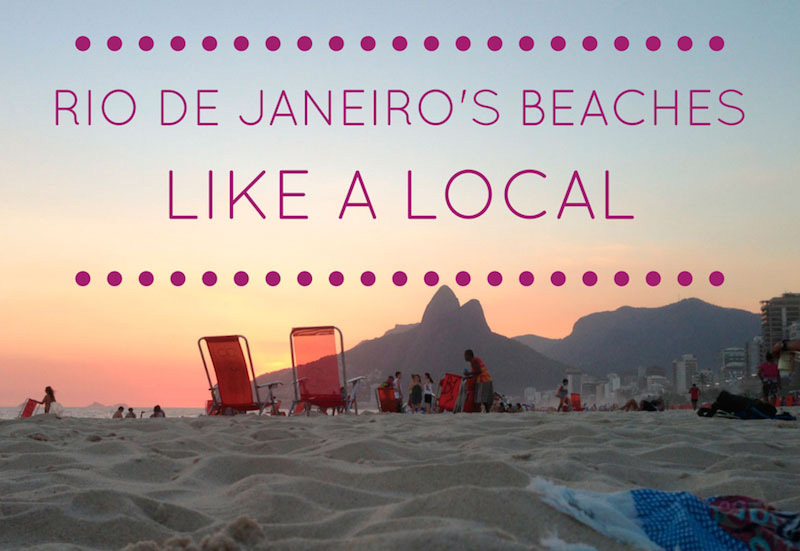 Flights from Rio de Janeiro are only 20 minutes longer, and sometimes offer even better deals. You can also take a bus from any major city in Brazil, the most common being the 24-hour bus from Rio de Janeiro, running about $100 each way. If coming from Rio de Janeiro or further, flights (even last minute) may not be too much more. If you’re on your way from Paraguay, then you’re the only traveler this is convenient for. You can cross the border at Ciudad del Este, Paraguay into Foz do Iguacu, Brazil (by foot or taxi). Buses from Asuncion take about 6 hours, and leave two times a day to Ciudad del Este. 2. Which Side is Better: Brazil or Argentina? Because the border between Brazil and Argentina runs through the falls, you can’t hop back and forth whilst in the park as you might think. If you want to see both sides, you’ll need to spend one day in each country, and cross the border as you normally would (by leaving the park and going to the actual border crossing, then re-entering the park in the other country- You cannot cross the border from within the park). The Argentinian side (home to 80% of the falls) is known for giving you the most up close and personal experience. You can stand on a bridge and stick your head out into some of the water, take photos right in the midst of the falls, and stand feet away from the center of the rushing downpour. You can literally taste the rainbow here, and emerge yourself in the natural beauty. The Brazilian side has much fewer of the falls (the remaining 20%), but the highlight here is that it gives a panoramic view of the impressive Argentinian side that you can’t get when you’re inches away over there. All of the photos showing the dramatic wall of water come from people standing on the Brazilian side. There is an element of “up close and personal” here, as the Brazilian side has a bridge over the “Devil’s Throat”, right on the border, where you can stand atop the colliding falls, but you’re not “in” them like in Argentina. So, we can’t tell you which side of the falls is the best, because both offer something different and you’ve got to decide which is more your style. Both have the same wildlife and tours, and the prices are quite comparable, it’s simply a different perspective. If you only plan on visiting one of the two countries though, visiting the side of the country you’re already in is just as good as any way to decide. Especially for foreigners (such as Americans) who need to pay high price visits to enter these countries. 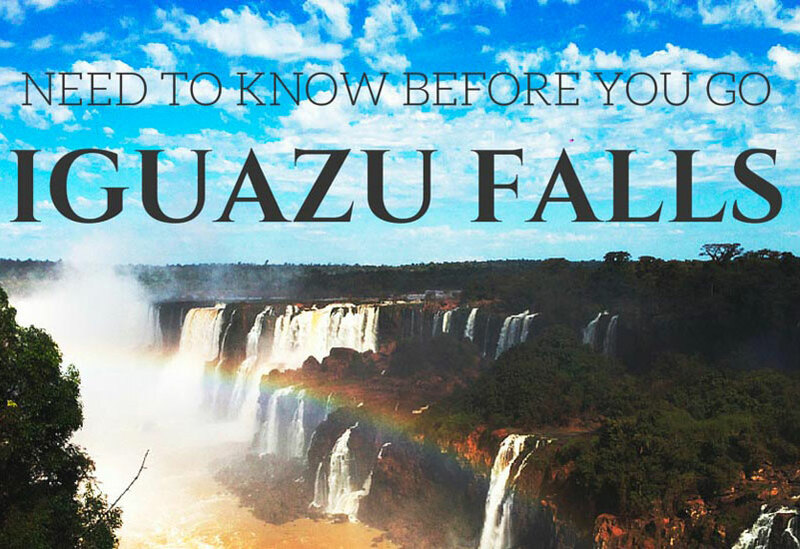 The fees remain, even if you only plan to visit Iguazu Falls. 3. How Much Time Do I Need? Allow one day for each side, two days if you’re visiting both. You can do one side in just a few hours if you need to, but you’re not going to be able to see the Brazilian and Argentinian side in the same day (because of the time it takes to get to the borders, cross, etc). Most travelers will be satisfied with one day (one or two nights), and simply picking one side to visit. Backpackers, those short on time or money, and anyone who is simply adding it to a long list of spots to see while in South America will be more than fulfilled with this, and might find doing both sides a bit excessive. If the waterfalls are the main focus of your trip, time and money are plentiful, or you simply want to leave no rock unturned, then you can avoid choosing one and allot two days to see both. You might prefer to stay for 3 nights so that you can move between the countries with less of a time constraint. Either way, the number of nights will largely depend on where you are traveling to/from, and if you have the option of traveling in the early evening and morning or not. 4. When Is the Best Time to Go? Unlike some spots in South America, you can basically go any time of year: It just depends what you’re looking for. Visiting during the rainy season (Dec-Feb) means heavier falls, and more impressive volume. But, it can lead to some of the attractions and islands being closed (which only certain people would do tours of anyways). The biggest downside is potentially cloudy skies (and thus, lack of the infamous rainbows). Visiting during the dry season (April-June) means hot, hot heat. This is great for those wanting to get into the falls and get wet. It’s not best if hiking is your focus, and some years the levels get noticeably lower. Ideally, the best time for you to visit is between the extremes of the seasons: March, the first half of April, August & September are when you can expect the happy mediums of heavy falls, sunny weather, and every attraction being open. Over time, the ticket costs have been roughly the same on each side, however current currency fluctuations have changed that a bit. Both sides offer a variety of tours, all of which can be booked the day of. From boat tours on the water right up to the base of the falls, to hikes through the forest and visits to animal parks, to helicoptering over the World Heritage site, you can do it all. If you plan on doing multiple tours, have your heart set on one experience, or have a large group, we recommend booking your tours ahead. Otherwise, do it the backpacker way (which conveniently coincides with the South American way) and just book what appeals to you the morning of. You can book Iguazu tours in advance directly through the parks. Book tours for Argentina here, and for Brazil Iguazu Park. For some nationalities (my fellow Americans, I’m looking at you), you may have to apply for visas in advance or pay high entry fees for each country. While you used to be able to bounce back and forth if only visiting the falls, this convenience is nothing more than a modern day urban legend. Make sure to check the visa requirements for your country before you go (and even before booking!). This may have an impact on which side(s) you visit, and if you’re set on seeing both sides then make sure to prepare accordingly to avoid any unwelcome surprises. If you plan to get up close, on either side (especially on a boat tour), you should definitely bring a poncho and something to put your camera or electronics in when you’re near the water. You can see the waterfalls without getting wet at all, but the views may tempt you to get closer than you expected! It’s hot, bright, and you’ll be out there for a few hours so make sure to bring hats and sunglasses and anything else you need to be comfortable. If you have not booked a hike but are interested in one, make sure to wear the appropriate shoes and attire for this as well. For Argentina, make sure you have enough cash in the local currency for your entrance ticket (and parking, if applicable). Inside both parks, local currency and international debit and credit cards are accepted. If you’re on a budget, pack a lunch and bring your own food and water for the day to save some cash. But you’ll notice quickly: Some of the animals are not afraid to come up and try to get their share of your goodies. Keep everything sealed and zipped up! There you have it: All the essentials to get started on your trip to this mind-blowingly beautiful Natural Wonder of the World! If you LOVED this post and want to see MORE like it, GO like our page on Facebook, follow us on Twitter, or join our latest adventures on Instagram. ¡Muchas gracias! Let us deliver to you our adventures, travel hacks and stories directly to your inbox, newsletter anyone? ?